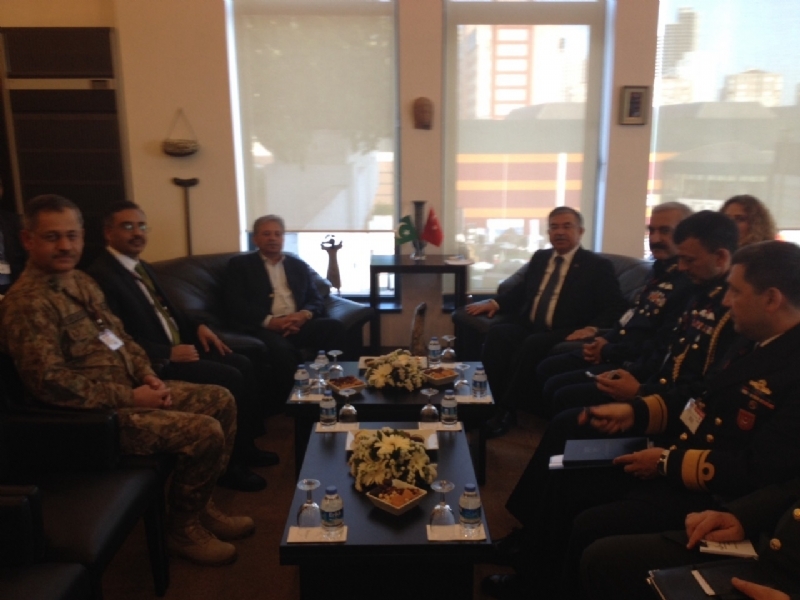 ISTANBUL, 7 May 2015: Minister for Defence Production of Pakistan Rana Tanveer Hussain, who is leading Pakistan delegation to the 12th International Defence Industry Fair (IDEF) 2015 being held at Istanbul from 5-8 May, had a bilateral meeting with Turkish Defence Minister Mr. İsmet Yılmaz. The two Ministers had a comprehensive exchange of views on bilateral relations and regional matters of common interest. 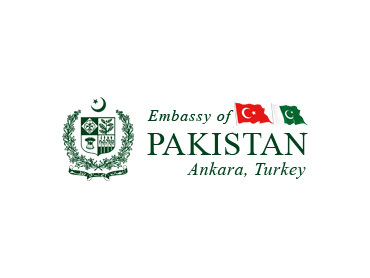 Highlighting the long-standing brotherly ties between Pakistan and Turkey, the two Ministers stressed the importance of enhanced economic cooperation and people-to-people contacts. 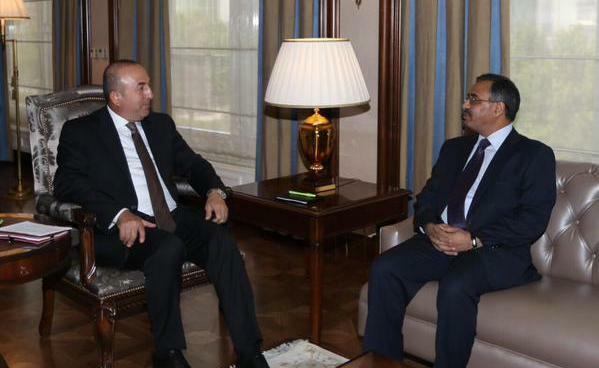 The two Ministers expressed satisfaction at the outcome of the 10th session of High Level Military Dialogue Group (HLMDG) held in Pakistan in October 2014 and agreed to further increase the frequency of high level contacts and inetnsifying mutual collaboration in the fields of military training and joint exercises. 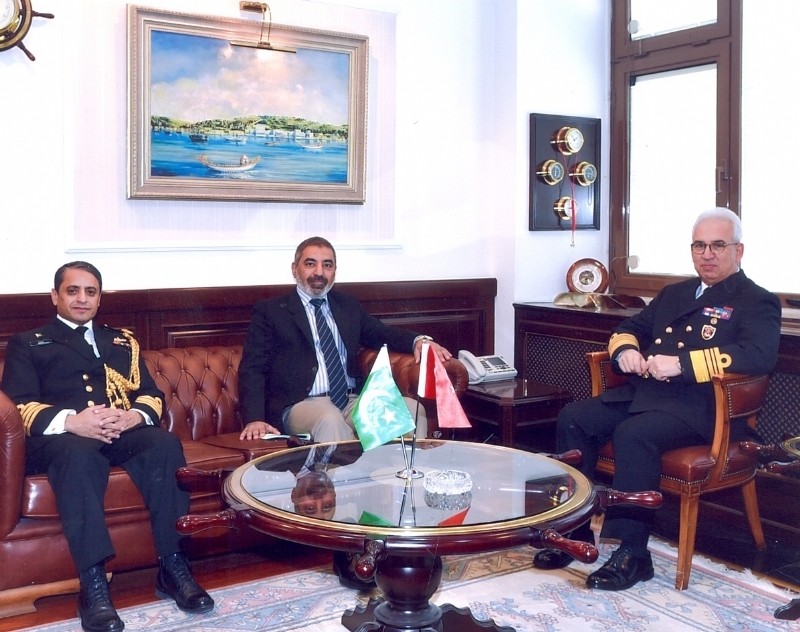 They reviewed progress on the ongoing defence projects including the construction of Logistics Support Ship for Pakistan Navy being built in Karachi Shipyard by STM of Turkey. Views were also exchanged on the scope of mutual collaboration in the area of air defence and prospects of joint ventures in the defence production sector. Both sides also stressed the importance of close consultations on regional issues, noting that regional stability was imperative for peace, security and continued economic progress of the two countries. 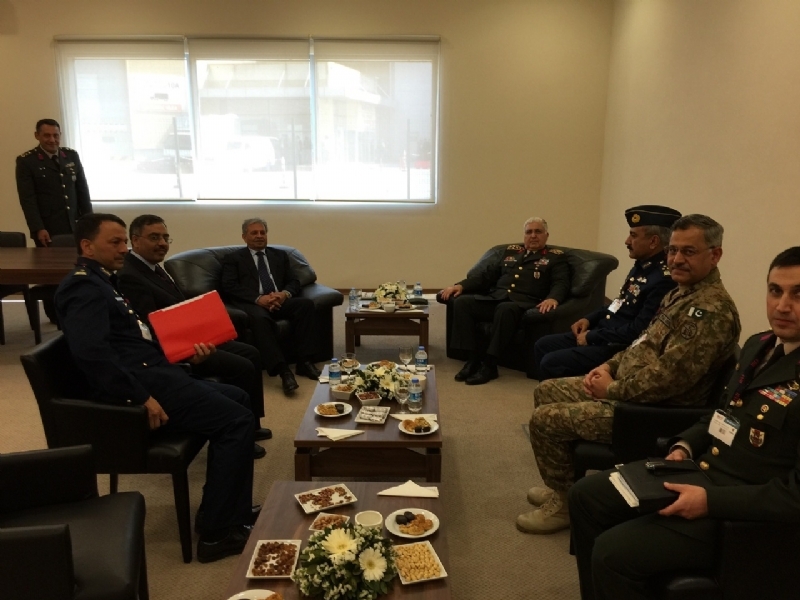 Chairman Pakistan Aeronotical Complex (PAC) Air Marshal Javaid Ahmed, Pakistan’s Ambassador to Turkey Mr. Sohail Mahmood, Additional Secretary of Ministry of Defence Production Maj. Gen. Tariq Ghafoor, and other senior officials were present in the meeting. Minister for Defence Production of Pakistan Rana Tanveer Hussain also met with Minister for Defence Industry of Azerbaijan Mr. Yavar Jamalov. 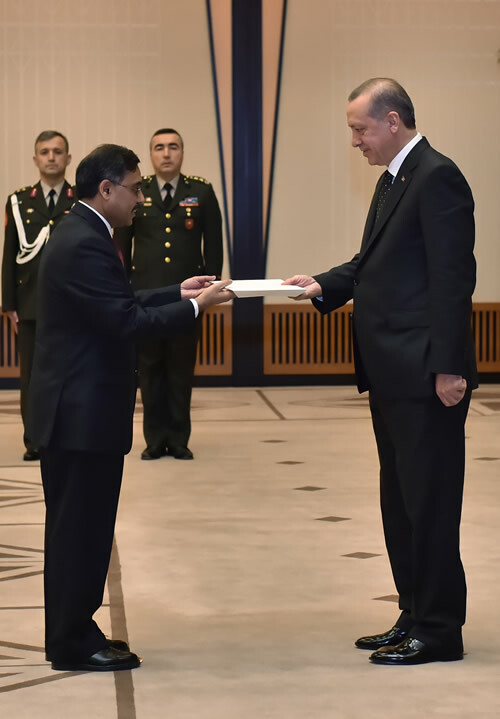 They reviewed follow-up on the discussions held during the visit of the President of Pakistan to Azerbaijan in March 2015. 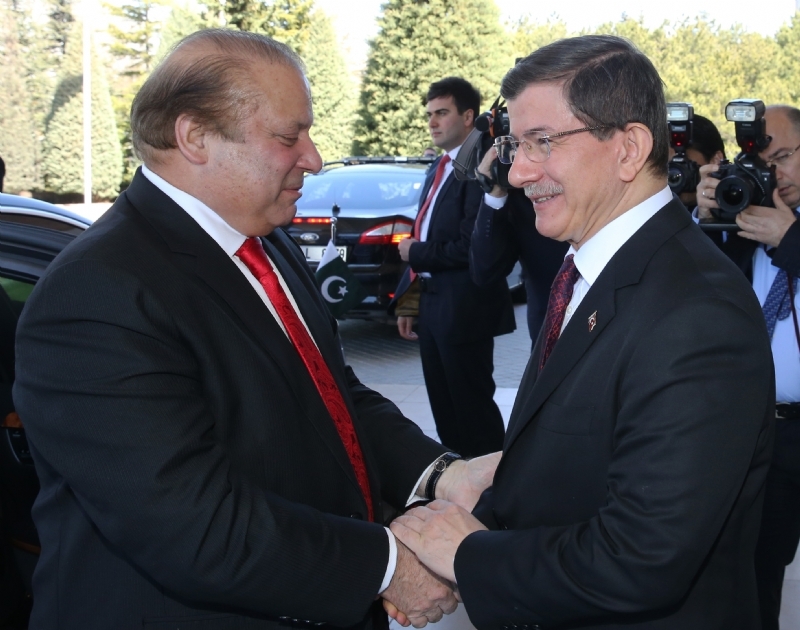 Both sides agreed on enhanced cooperation in diverse fields, including defence production. In pursuance of the discussions held during their own bilateral meeting of 13 March in Baku, the two Ministers agreed to have intensified high-level contacts in the coming months. 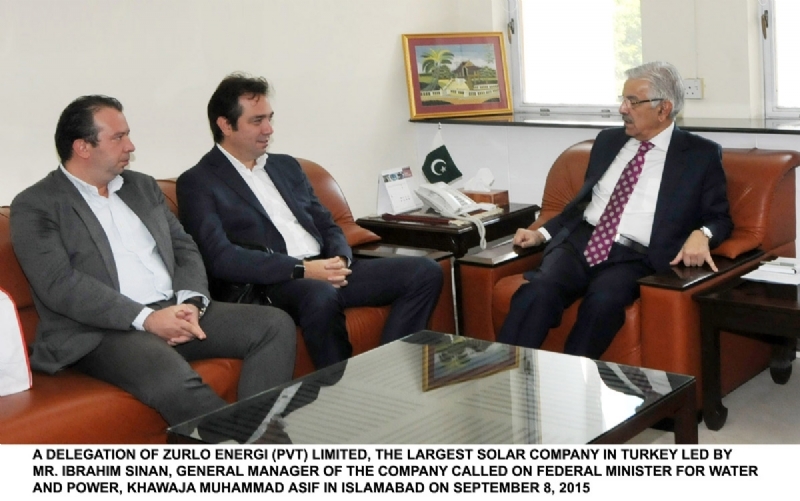 Rana Tanveer Hussain told Mr. Yavar Jamalov that he was looking forward to his visit to Pakistan for the next meeting of the Inter-Governmental Commission. 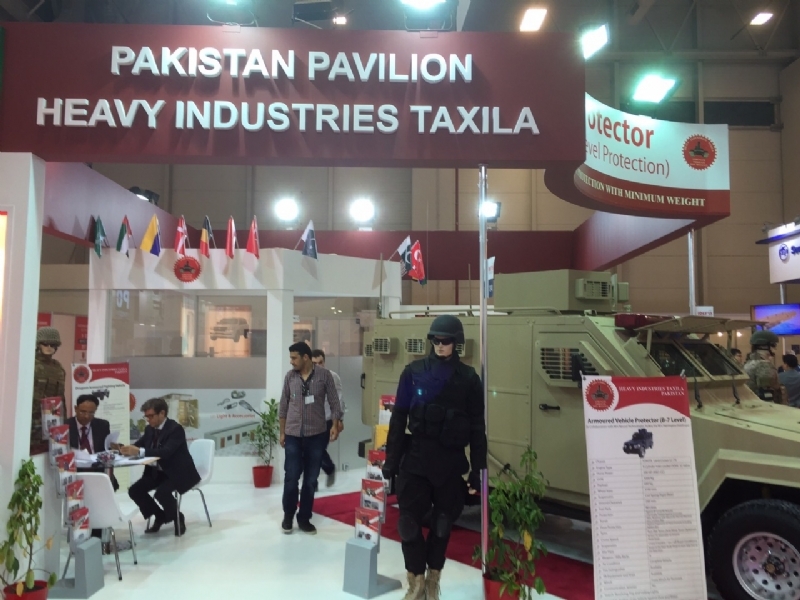 During the visit, matters relating to collaboration in the defence industry would also be discussed. 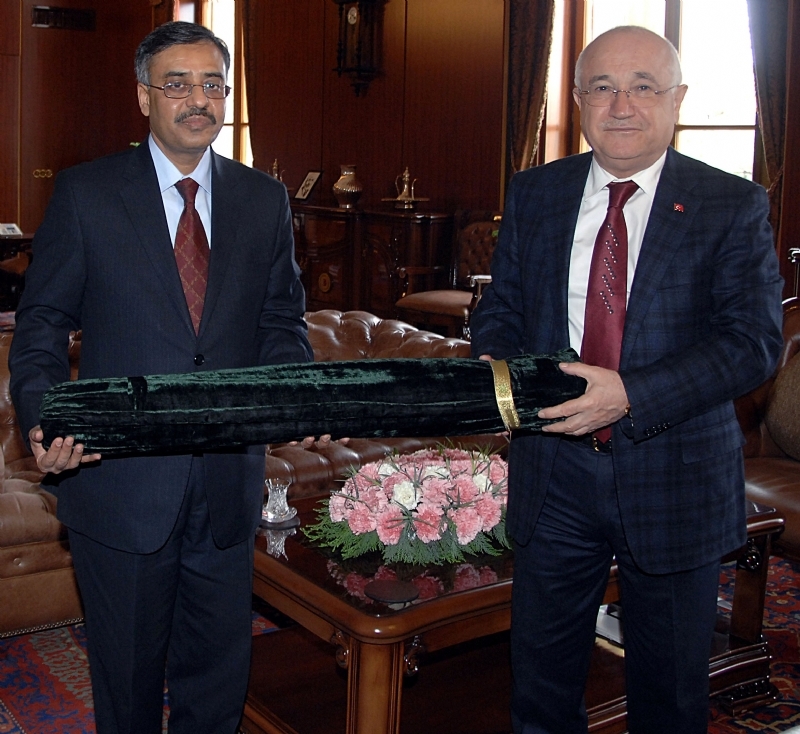 Seperately, Minister Rana Tanveer Hussain met with the Undersecretary for Turkish Defence Industries Prof Dr Ismail Demir and exchanged views on mutual collaboration in the field of defence production. 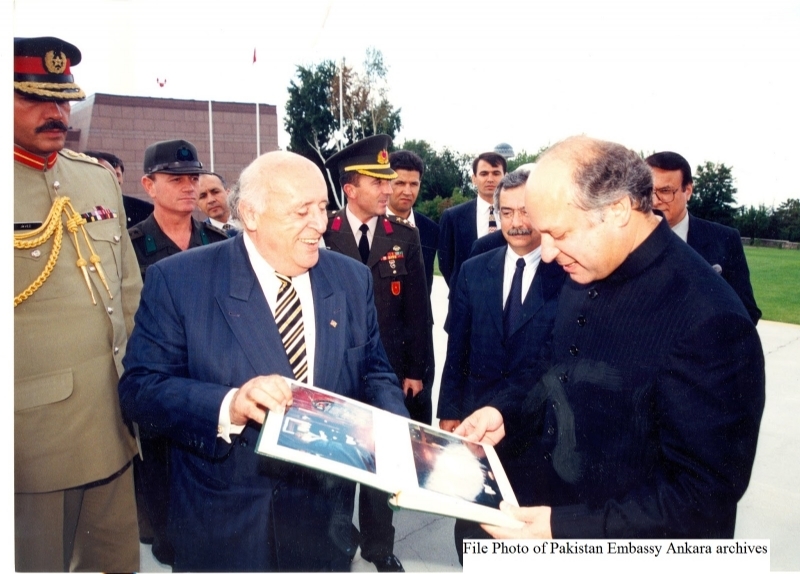 He also visited stalls of Turkey and other countries established at IDEF. 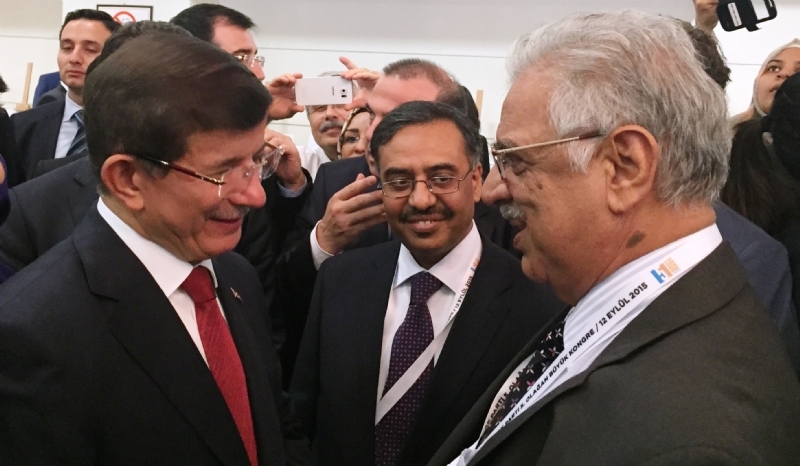 During his visit to the stalls, he had interaction with the senior leadership of the Turkish defence industries including Turkish Aerospace Industries (TAI), Military Electronic Industries of Turkey (ASELSAN), Turkish Military Software Corporation (HAVELSAN), ROKETSAN, MilSOFT, TUBITAK, MKEK, etc.